As you gear up to celebrate St. Patrick’s Day, here is a fun coloring worksheet that the kids are sure to love! 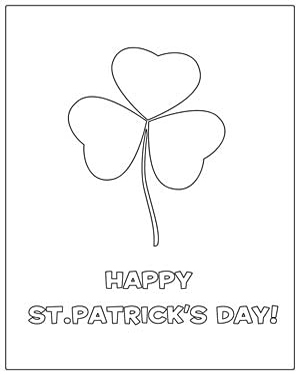 Free and printable, our ‘Color the Shamrock’ worksheet can be used by parents as well as teachers to get the kids into the spirit of this special religious day. The shamrock is often used as a symbol for St. Patrick’s Day. So hand this coloring worksheet over to the little ones and let them get creative!